A bouquet of flowers can be a nice gesture of conveying get well wishes to someone who has been hospitalized or recuperating. However, if you want something more practical to give to an ailing friend or family member, a Get Well Soon Hamper is the better option. These are the top 5 online florists with the best Get Well Soon Hampers in Singapore. A Better Florist provides luxury Get Well hampers with an affordable price tag. Their Get Well Soon Hampers Delivery allows you to send thoughtful words of support, encouragement and healing to a recuperating loved one with beautiful hampers containing herbal essences, flowers and other sources of comfort. All of these will be delivered for free and no GST! You can add fresh fruits in your healthy hamper or request for a customised Get Well Soon basket to make sure all the goodies included in your hamper are among your recipient’s favourites. After all, a care package should including the stuff that would help your loved one heal faster, both physically and emotionally. A Better Florist’s free same day hamper delivery is included for orders placed before 3pm. Meanwhile, you can also request for their rush delivery which ships your hamper within 90 minutes! Healing has to be aided by healthy foods and produce. Her Flowers has a bunch of fruit hampers and fruit baskets for this purpose. Their Orchard Fruit basket for a Get Well Soon gift includes freshly picked fruits like pears, apples, grapes, oranges and kiwis along with other surprise treats enough to cheer up any patient. 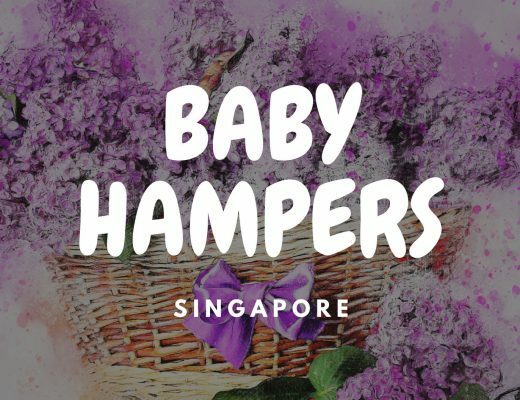 Another great thing about their Get Well Soon Hampers Singapore is their incorporation of fresh flowers into their hampers, so while the healthy foods nourish their body, the healing magic of flowers can rejuvenate their mind and soul. So if you want free same day flower delivery in Singapore, you have to place your order before 3pm. With Flowers & CO Singapore, you don’t have to suffer through last-minute supermarket dashes and disappointing deliveries. You can conveniently buy high-quality and beautifully packaged hampers for all occasions online, at your own time and comfort, and simply wait for the hamper to be delivered in no time with their 90-minute guaranteed express delivery islandwide! They have developed a beautiful yet practical way of packaging hampers to highlight and protect the products inside. Lastly, you won’t have to blow your budget with their budget-friendly options that are all thoughtfully selected and put together by their team. Happy Flowers serves as an ambassador of happiness in Singapore through their beautifully crafted and affordable blooms, as well as their happy hampers and fruit baskets. To make sure they put a smile on their customer’s face, quality and speed go hand-in-hand. That’s why their slogan is “Happiness delivered wherever in 90 minutes!” Their team carefully curates items in each hamper, using the freshest and finest quality of products. From healthy hampers, baby hampers, holiday hampers and fruit baskets, Happy Flowers pays special attention to details to convey the appropriate message. 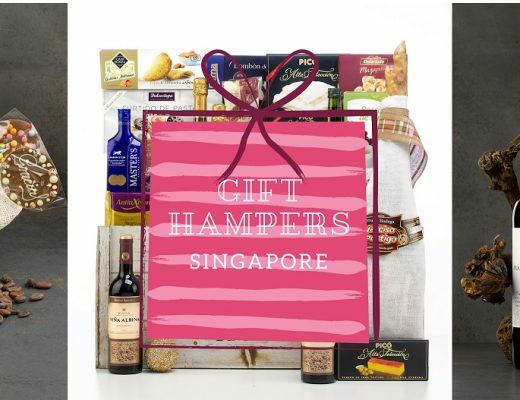 Then, their impressively fast hamper delivery service in Singapore ships the hamper from the shop to the recipient’s doorstep in less than 2 hours. So, make someone happy today with Happy Flowers! Smile Floral packs the essentials in a pretty little basket to brighten someone’s day, while promoting self-care and physical well-being. They also have a product that includes a cute animal balloon to make your loved one smile. If you have extra time, you can opt to collect the Get Well hamper yourself so you can get an SGD10 rebate. Same day delivery is available for orders made by 11am, Mondays-Saturdays. The great thing about Eu San Yang is that they have specific Get Well hampers for particular health concerns. You can filter their selection depending on the issue, such as stress, fatigue, sore throat, fever or migraine. For example, for stress you can order ginseng tea and capsules with your wellness hamper. There is also a separate category for seniors who need extra care for their health. They also have the traditional health and wellness hampers containing all the usual healthy fruits and organic products you need to recover. They have halal hampers, as well. Founded in 1879, Eu Yan Sang integrates Chinese Medicine into their products. According to their website, they have “GAP (Good Agriculture Practice), GMP and ISO 9001 certifications, as well as accreditations by governing bodies and ministries of health and science.” You can order before 12nn for same day delivery. Part of Hummings Vitality line of wellness hampers is their Brimming Health product. In fact, it really is brimming with all sorts of organic products, flowers and other delicious foods to boost the immune system. It is a bit pricey, but it’s basically a big grocery basket to promote recovery. Health is wealth, after all. On the lower-priced end of their selection, you can get a Get Well Soon basket of fruits for SGD55 packaged in a pretty pink or blue weaved basket. You can get this delivered on the same day if you order before 4pm on weekdays and before 10:30am on Saturdays.